The Urology training program at Kaiser Permanente Los Angeles is a fully accredited, six-year residency program with two applicants are selected each year. All applicants will be rotating within our General Surgery program for their PGY-1 year. The residents will spend one year on general surgery, one year on research, and four years on clinical urology. The Los Angeles Medical Center is a major referral center for over 4 million members in Southern California, resulting in a large volume and variety of complex urologic cases. The proximity of resident and staff offices fosters a close working relationship between residents and staff members, and the residents feel that staff members are always available to answer questions. Staff members take a personal interest in the residents, and departmental social gatherings are common. There is minimal hierarchy as the residents are treated as junior staff, and given autonomy early on in terms of surgery and run their own clinics. Kaiser Permanente urology residents have traditionally scored extremely well on in-service exams as well as board certification. The volume of surgical cases is invariably high as measured by the USOL. The mission of the KP urology residency program is to train the best urologist for a career in academic or community practice. The residency program is designed to provide a maximal educational experience in operative, procedural, and office urology. In addition, residents receive training in clinical and epidemiological research. There are educational conferences in the form of clinical presentations, lectures, reviews of recent literature, discussions of research projects, and pathology reviews. Patient rounds are made daily, and grand rounds are held weekly during which resident and attending physicians are free from all clinical duties. Visiting professors are scheduled on an annual basis, and residents are strongly encouraged to attend outside meetings and conferences. 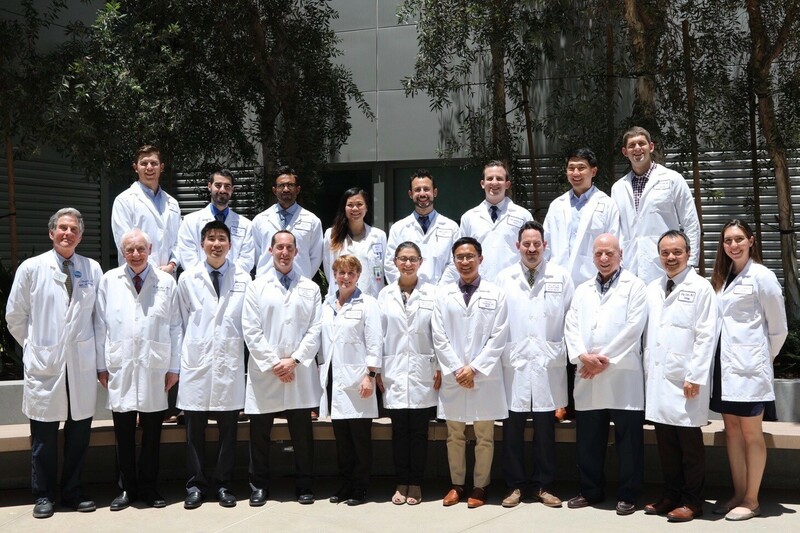 The Department of Urology hosts the annual Kaiser Permanente Urology Symposium which attracts experts from around the world. The first year of the residency is spent rotating with the Department of General Surgery. From their first day as interns, residents have a great exposure to the operating room and act as primary surgeons on a large number of cases. Interns are not relegated to the wards, instead they are expected to assist with all of the surgical team’s operative cases. This hands-on approach well prepares the pre-urology resident for urology. Overnight call frequency is about one in seven nights and short call about one in seven evenings. Residents give the general surgery experience uniformly high praise as an educational and valuable experience. Starting in the PGY-2 year, the residents are fulltime in the Department of Urology. Half of the year the residents will be introduced to clinical urology, where they will begin to learn basic urologic procedures. They will also take call with the chief residents. The other half of the year the residents will be introduced to research, while still on clinical duties. They will work early on with our urology faculty and the Research and Evaluation department. The research PGY-2 will also be exposed to operative urology as well as learning to manage emergent urologic consults. They will also rotate for one month on the USC LA County Hospital trauma service. In PGY-3 year the residents are given more autonomy as they are increasingly given the role of the primary surgeon in the operating room, and they spend time on each of the Urology sub-specialty services. Call frequency is about one in four, and all call is taken from home. In PGY-4 year, residents have six months of protected research time, free from clinical duties and call. The research resident works closely with the urology faculty and with the Department of Research and Evaluation, focusing on large-scale epidemiologic research. Much of this research will be continuation of what was started in their PGY-2 year. The remaining six months of the PGY-4 year is spent on the pediatric urology service at LAMC. In the PGY-5 year, urology residents will rotate at UCLA for transplant surgery, and Downey and West Los Angeles Kaiser Hospitals. During the entire third year of urology, the residents are acting chiefs. These rotations are remarkable for their high operative volume and extensive exposure to minimally invasive surgery. The final year of residency is spent entirely at the Los Angeles Medical Center as Chief resident. The chief residents split their time among the sub-specialty services and directly supervise the junior urology residents.